At Sunrise on the day of January 26, 2019, Bernice Red Crow (Strangling Wolf) of the Blood Reserve beloved wife of the late John Red Crow was still at the presence of her Family, before Sunset she passed away peacefully at the age of 69. Surrounded by her children, siblings, family and friends. Bernice was the root of her family and will be sadly missed by her children: Melva Black Plume, Lawrence Lee (Ursula) Red Crow, Ian (Noemie) Red Crow, Shawna Strangling Wolf (Keith Bear Chief), Russell Red Crow and her adopted son Clint (Andrea) Charlie. Her grandchildren whom she adored, Aeron (Ashley), Craig, Jamaal, Natasha (Justin), Brayden, Britney (Matt), Kiana, Madison, Skye-Miss Muffins (Les), Ted (Michelle), Pacey (Justin), Shayle and Ethan; great grandchildren, Kaori, Taylor, Persia, Nikoli, Chloe, Kashtin, Eva, Coyote, Jackson, Nakai, and one on the way and godchildren Dakota Bird and Jerome Blood. Bernice is also survived by her siblings; Rosaline Weasel Moccasin, Virginia Black Plume, Barry (Lorraine) Black Plume, Larry Black Plume, Jerry (Joanne) Black Plume, Phyllis Black Plume, Nina (Lee) Smith, Deanna (Ed) Black Plume. Bernice was born in Cardston to Lawrence Black Plume and Rosaline Hoof on November 7, 1949. She grew up in Lavern, Glenwood and Saokioohtsi area. 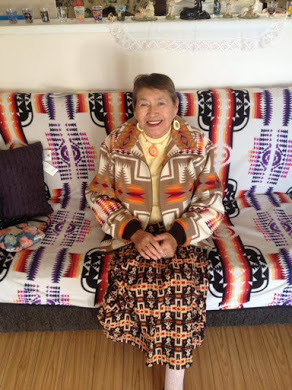 In 1954, Bernice attended St. Mary’s residential school on the Blood Reserve. She loved to play sports and was on the basketball and volleyball team. She continued her education in Calgary, AB to attend high school and, she had a part-time job as a nanny. In 1966, Bernice met and married Melvin Red Crow on March 1st, 1972. They were blessed with 5 children, she also helped raise her younger siblings and her special nieces Marcella and Jacqueline. She taught valuable life lessons through her storytelling to her children, grandchildren, nieces and nephews. In 1974, she was the first woman employed with Kainai Industries Ltd as a cleaner of completed units than later was promoted as a receptionist and then promoted to an accountant. She continued to work until the plant closed down. She then went back to school in 1992 and graduated from the Social Work Program in 1996. She did her practicum at Blood Tribe Social Development for the Social Work program. She then worked for the Government of Alberta and Blood Tribe Child Protection until she retired in 2015. In 1984, she walked with the Lord in making her Cursillo in Siksika and her theme song was “I will never forget you”. She continued her spiritual journey with the lord until her passing. 1988/89 She coached the Kainai Atoms Hockey Team and enjoyed it very much. She coached; as hockey was a big part of her boys’ upbringing. 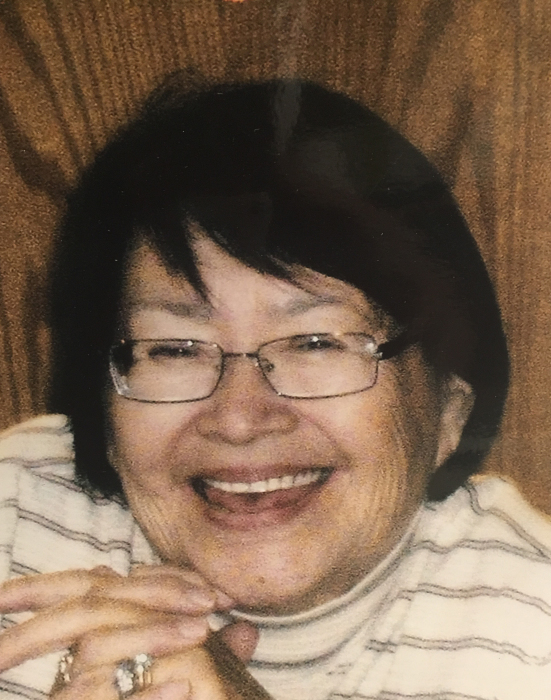 Her hobbies included playing bingo, supporting her grandchildren, nieces, and nephews in their activities, her early morning phone calls, planning family get togethers, travelling (by ground) to powwows and sporting events. She was an avid supporter to everyone in the family, she attended Hockey Games, Basketball Games, Volleyball Games, Softball Games, Rodeos and Pool Games. The Family would like to apologize for anyone they may have missed, as mom’s family and friends were too numerous to mention. A Wake Service will be held at 7:00pm on Monday, February 4, 2019 at MARTIN BROTHERS RIVERVIEW CHAPEL, 610-4 Street South, Lethbridge, Alberta. A Funeral Service will be held at 11:00am on Tuesday, February 5, 2019 at ST. MARTHA’S CATHOLIC CHURCH, 355 Columbia Blvd West, Lethbridge, Alberta. Interment Service to follow at the Prairie Rose Family Cemetery (Bernice’s Homestead). For those who wish, memorial donations may be made to the Canadian Red Cross, 335 Columbia Boulevard West, Lethbridge, AB T1K 5Y8. The Family would like to express their sincere gratitude to the Lethbridge Regional Hospital, ICU unit, Units 4B, 4C, 3C, also to St. Michael’s Health Center. A Special Thank you to Dr. Wong and ALL the nursing staff involved in mom’s care.